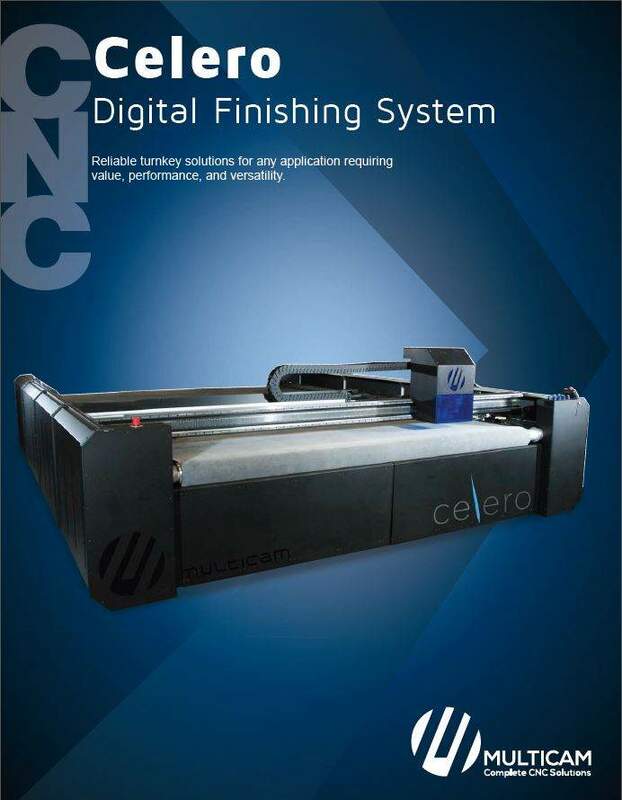 The Celero Digital Finishing system is engineered to provide end-users with unparalleled performance as well as pristine cut quality. 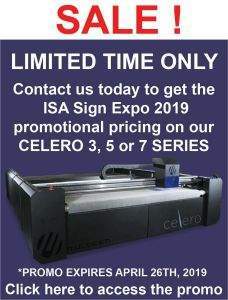 Perfectly balancing speed and precision the Celero utilizes linear motors to reach acceleration speeds of 1.2 G’s as well as 12,000 inches per minute maximum traverse speed. 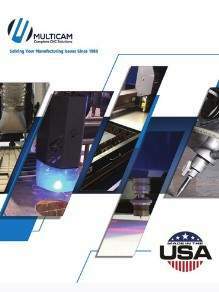 This Digital Finishing system substantially reduces sheet-to-sheet time and helps maximize production speeds and workflow. Its unique modular design allows for easy transportation through double door entryways while still providing enough cutting area for larger projects. The Celero also features a conveyor system for easy loading or unloading of material as well as automatic tool changing capabilities for both the spindle and knives. Companies that are looking for a platform that can register, route, and knife-cut at extremely high speeds will appreciate the capabilities of the MultiCam Celero. 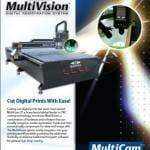 MultiVision is a combination of hardware and software that can visually recognize registration marks and automatically compensate for skew and image distortion. Single & Dual tangential knife cartridge receivers available.